Australian player John Millman came back from one set down to beat Frances Tiafoe 4-6 7-6 (7-5) 7-5 in hot weather conditions at the Sydney International in front of his home fans. 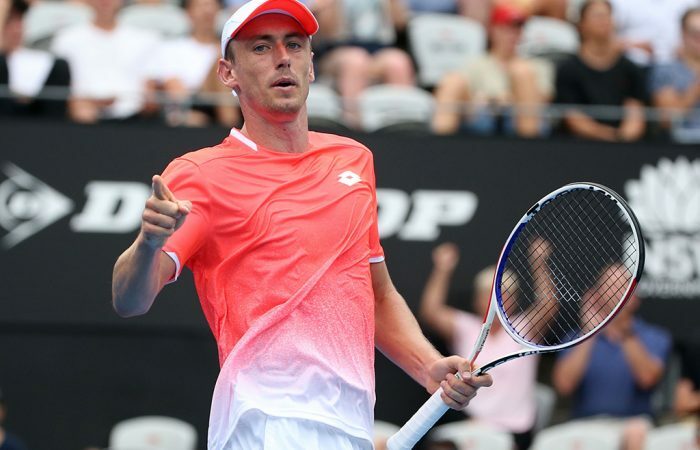 John Millman was close to retiring from his match against Tiafoe because of flu, but he did not want to miss the chance to play in front of his home fans. After a trade of breaks in the first two games Tiafoe broke serve in the fifth game to take the first set 6-4. The second set went on serve until the tie-break, where Millman clinched a close 7-5 win forcing the match to the third set. Millman rallied from a break down in the decisive set with a break back in the fifth game in the fifth game. Both players traded breaks in the sixth and seventh games. After three holds of serve Tiafoe sealed the win with a break in the 11th game at deuce and a hold of serve at 30. “It was a decision to come out today. I woke up this morning with the flu and I was really dizzy out there. Any chance to play at home in Australia. I think you have to take it, so I tried to come out here and give it everything. It wasn’t ideal losing the first set. I thought if I had any chance of winning I had to win that first set. It’s that never-say-die attitude that a lot of Australians have. Definitely in that third set, with a bit of momentum, I was down a few times, but I had some great support from the crowd. I really needed that crowd”,said Millman. Millman will face Marton Fucsovics, who came back from one set down to beat James Duckworth 3-6 6-3 6-4. 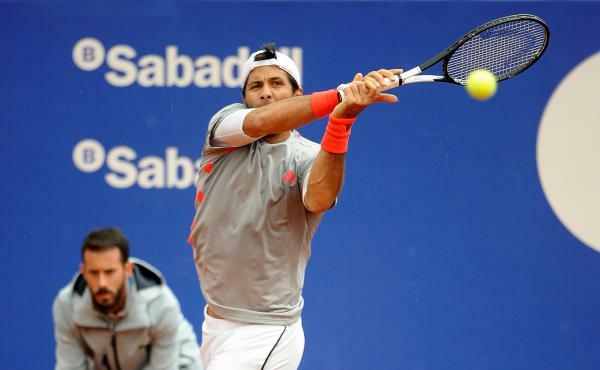 Andreas Seppi edged past Jeremy Chardy 7-5 2-6 6-4. Andrey Rublev lost just two points on his first serve to beat Lucas Pouille 6-2 6-3. Jordan Thompson fought back from 6-3 4-2 down to beat Japanese lucky loser Taro Daniel 3-6 7-6 (7-5) 6-0. Guillermo Garcia Lopez overcame Denis Kudla 7-5 6-4 setting up a second round match against Argentina’s Diego Schwartzman. Rain forced the cancellation when Alex De Minaaur was just one game away from reaching the second round against US qualifier Reilly Opelka.